Captain America's New Twist The Worst Yet? It's one more in Secret Empire's now-familiar formula of ending issues with unfathomable twists. Like Captain America raising Mjolnir before it, it's hard to know just what the next chapter of the story will be. All thanks to a final scene in an otherwise not-too-stunning issue primarily setting up bigger events, showing a young woman being pursued and attacked by the villains of "Serpent Solutions" in the woods. The woman is saved by an unknown man... who is well known to readers. The 'Real' Steve Rogers Returns...? That's right, Marvel fans, Steve Rogers is back! Well... he might be. We don't really know exactly what's being shown here, other than a man who looks like Steve Rogers, claiming to be Steve Rogers, who for some reason can't get "home." 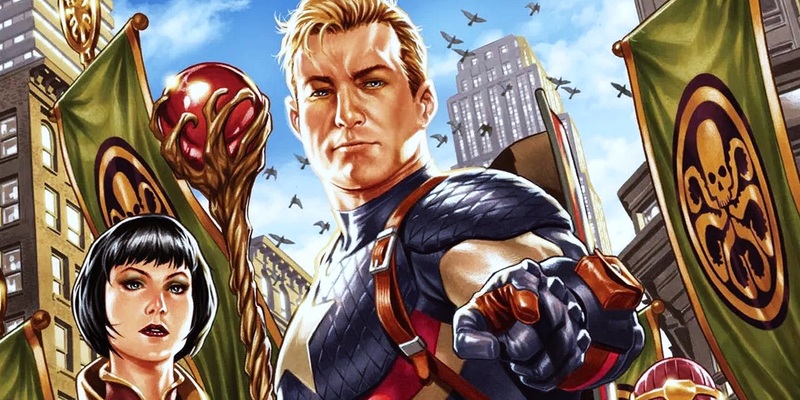 Since Secret Empire and its writer have insisted that there's no trickery or 'Cosmic Cube' excuses to fall back on to undo Captain America's allegiance to Hydra, it doesn't seem right to call THIS Steve Rogers the REAL one. Especially since the first issue of Secret Empire revealed that the Cosmic Cube's remaking of reality didn't turn Steve into a villain, but actually un-made him into a hero - he was Hydra to begin with. Unfortunately, even that's made unclear in Issue #2, as a momentarily-sober A.I. Tony Stark uncovers the secret of Steve's transformation, thanks to Rick Jones's actual hacks into the Hydras systems. 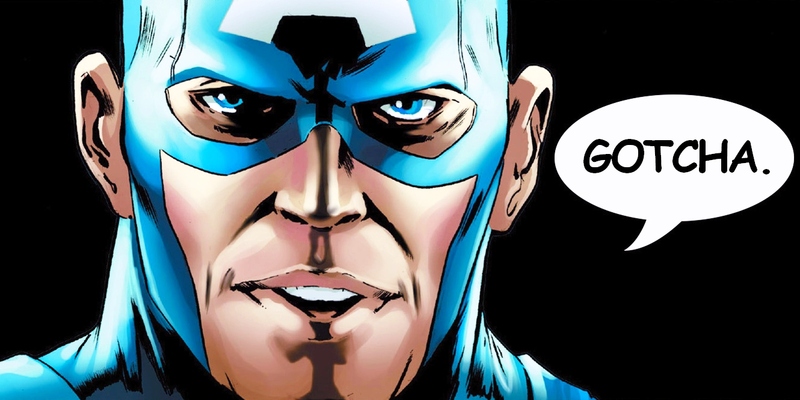 Rick found out the story of the new Cap as it was presented to readers in Captain America: Steve Rogers, with Red Skull using the Cosmic Cube to alter reality into this much more sinister version of events. And more recently, Dr. Erik Selvig shattered the Cosmic Cube into shards and scattered them so nobody could deny this new future. Find the shards, Tony realizes, and reassemble the Cube to return things to the way they ought to be. It's not the first time that the Secret Empire story has seemed to return to the idea that Steve Rogers is only loyal to Hydra thanks to the Cosmic Cube, and in this case, Tony and Rick operating on outdated information further muddies the water. Even Marvel claimed Steve isn't evil, and that Red Skull made him that way, despite Secret Empire showing the actual past, before it was changed to make Steve a hero. So: are Tony and Rick wrong? Were readers deceived in Issue #0, or shown the truth? Where this new Steve Rogers fits depends on the answer, since an alteration of reality against what is right could be used as a reason to keep the real, good, honest Steve alive. As a broad rule, a "twist" in a story only succeeds as much as the audience can actually understand it. Modern television, movies, novels, or comic books may defy this rule for the sheer marketing benefits, sending fans scattering in total confusion, desperate to understand what is, ultimately, an unclear conclusion (satisfying online, but not in strictly story terms). 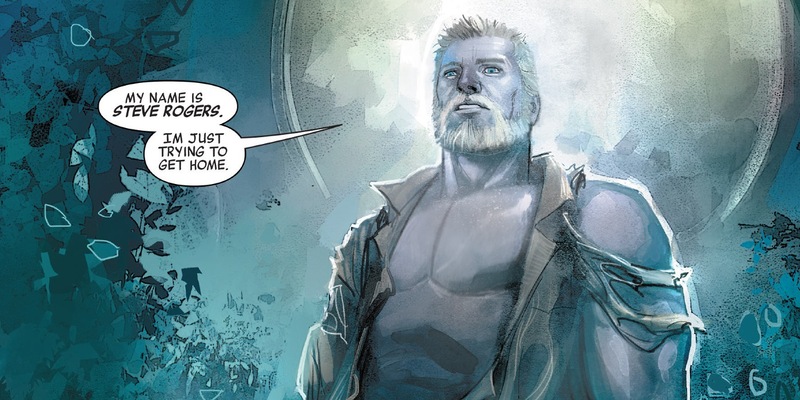 And as the final page of Secret Empire #2 turns, revealing that another doppelganger of Steve Rogers is searching for home in this world... it's hard to know what to make of it at all. There's no doubt that many reading the series will simply be committed to seeing it through to the end - and understanding the story behind Captain America's final Hydra armor and shield. For them, seeing just how crazy and unpredictable Secret Empire can get is the whole reason for reading. But for those who would prefer to feel as if they've being told a story, teased out over a dozen issues, bombshells pushing the limits of disbelief to an almost meta level work against that pacing. And, just to be clear, Secret Empire #2 makes absolutely no mention of Captain America raising Thor's hammer, or what readers should take away from it beyond the shock and controversy. Nobody may have it worse than those willing to overlook the issue of turning Marvel's mascot into a fascist dictator for an exploration or commentary on the danger of political extremism, or the corruption of absolute power. After weeks of hearing the creators and publisher promise it's not a stunt, but a real story of a hero gone too far, and the true heroes who oppose him... a doppelganger of Steve Rogers comes stumbling out of the woods looking for "home" at the end of the third chapter. The very least that we can assume is that Secret Empire isn't the story we thought it would be. At Marvel's encouragement, the series has been framed as a story of Steve Rogers' extremism, misguided need for order, and brutality when pushed. It's also a story of, in Nick Spencer's words, a resistance akin to Marvel's own Star Wars and Rebel Alliance. But much of that goes out the window when another, beaten, but heroic Steve Rogers comes strolling into the picture. A twist that big, as the comic's formula proves, is one that can change the entire story. We'll still be reading the series, as we're sure Marvel fans and outraged onlookers alike will (that's how and why these kinds of shocking stories succeed). But Marvel shouldn't be surprised if in their hopes of giving readers and unpredictable, continuously shocking narrative, they've bucked a good number off of the story completely. Those fans will still be eager to see just how the story wraps up, and which one of these Steve Rogers doppelgangers actually remains when it's said and done. They may just not be hanging on every ending the way Marvel hoped. Secret Empire #2 is available now.